Original art for 2000ad Prog 344 COVER - ROGUE TROOPER - by master CAM KENNEDY. Cover date is 26th November 1983. Art is signed by the writer Gerry Finley-Day and artist Cam Kennedy. 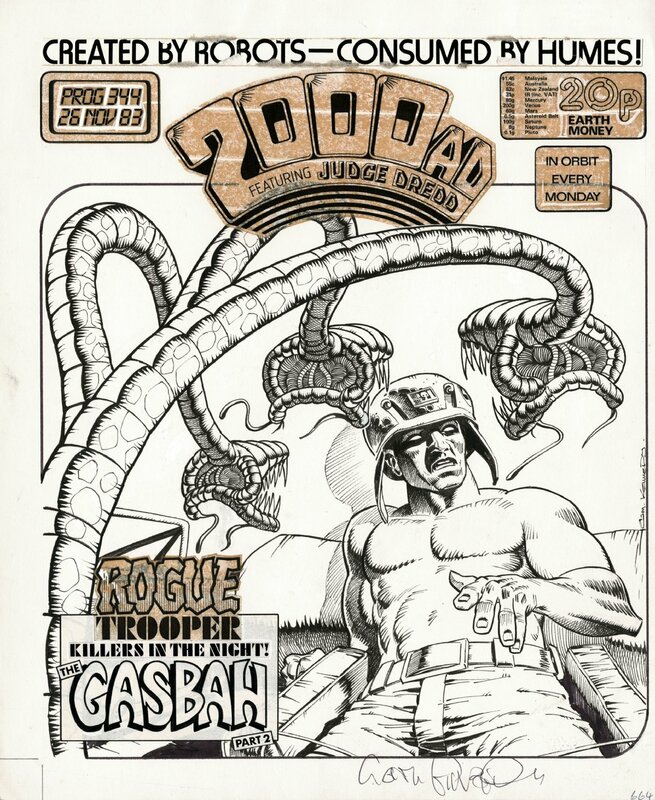 Superb image of Rogue from the 'Gasbah' storyline. Active art Area is 32 X 38 cm.